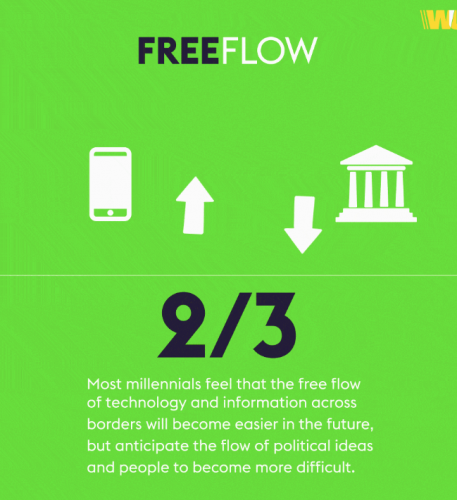 New research commissioned by money transfer from Western Union shows that Millennials across 15 countries are united by a belief in globalisation, want the freedom to experience the opportunities it brings, and have a desire to play a role in shaping the future using technology. The survey of more than 10,000 Millennials reveals that this group is confident that globalisation will make the world a better place for themselves and others and are committed to leading the change. The world – politically, economically, socially, and technologically – is in flux. But what does this all mean for our future? 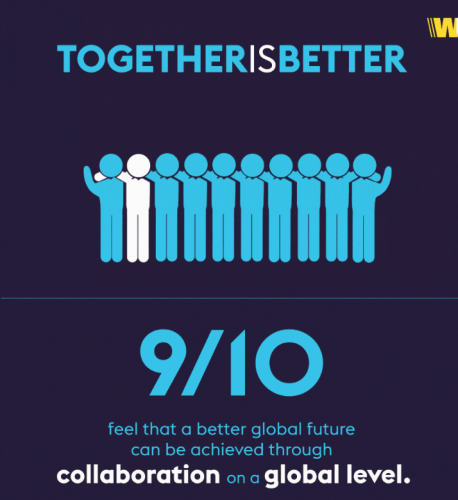 The Western Union Company has commissioned a first-of-its-kind global study about Millennials’ beliefs, hopes and aspirations for the future and the world that they wish to shape for themselves and others. The 2017 Western Union Global Study— “Globalisation: A World View of the Future” —surveyed native, first-generation and foreign-born people between the ages of 20-36 in Australia, Brazil, Canada, China, Egypt, Germany, India, Indonesia, Mexico, Russia, South Africa, United Arab Emirates, United Kingdom, United States, and Vietnam through online interviews. Most countries surveyed represent significant millennial populations. The survey shows that in sharp contrast to current geopolitics, this diverse group of tomorrow’s future shapers are united by a belief in a world of collaboration, unrestricted by geographical borders. Western Union president and CEO, Hikmet Ersek said, “The world is changing and there is a new economic power shift driven by a new generation of global citizens. They are shaping the future, and inspiring others to do the same. They are redefining globalisation to one of ‘personal globalisation’ where the pursuit of limitless cross-border movement, cross-border digital communication and creative lifestyle drives new economic power. These inspiring future shapers are the leaders of tomorrow and are looking at how they want the world to be, not only for themselves, but for all. This generation is made up all kinds of future leaders – entrepreneurial, corporate, political, and social influencers. It is vitally important to understand what they think and what they want the world to look like,” said Ersek. • Seven out of 10 believe future governments will be hybrids of democratic institutions and individuals – representing the power of people (70 per cent). • More than two thirds believe that shaping the future is up to them as individuals, rather than governments (71 per cent). • Forty percent believe the creation of a globalised world requires shared responsibility of all. This includes global and national stakeholders, such as international organisations, governments, the private sector, local communities, and individuals, all taking responsibility. Canada,Russia,and the UAE said their national government represented them better than global institutions and their local governments. • Millennials are more divided than they are united about whether or not the world is currently at peace. Nearly 8 out of 10 say the world is more divided now than it was in 2015. Four of 10 believe it will more divided by 2030 (45 per cent), while three out of 10 believe the world will be more united (33 per cent). • Those surveyed identify racism and a fear of immigrants as the biggest threats to global citizenship and an open world (36 per cent), followed by nationalist politics, religious differences, and outdated immigration policies. • The most important traits for achieving global citizenship and eradicating social discrimination is ensuring that there is respect for diversity and the ability to embrace other countries. Those surveyed identify respect for diversity (46 per cent), the ability to embrace other cultures (43 per cent) and adaptability (39 per cent) as the most important traits of a global citizen. • These future shapers believe that tackling issues of racism, xenophobia, religious intolerance, gender inequality and freedom to be anywhere in the world are important to creating an ideal future world. A future free of racism (42 per cent), barriers based on gender, religion, culture, or nationality (38 per cent) and the ability to live, work and play anywhere in the world (37 per cent) were cited as the three most important factors for success.